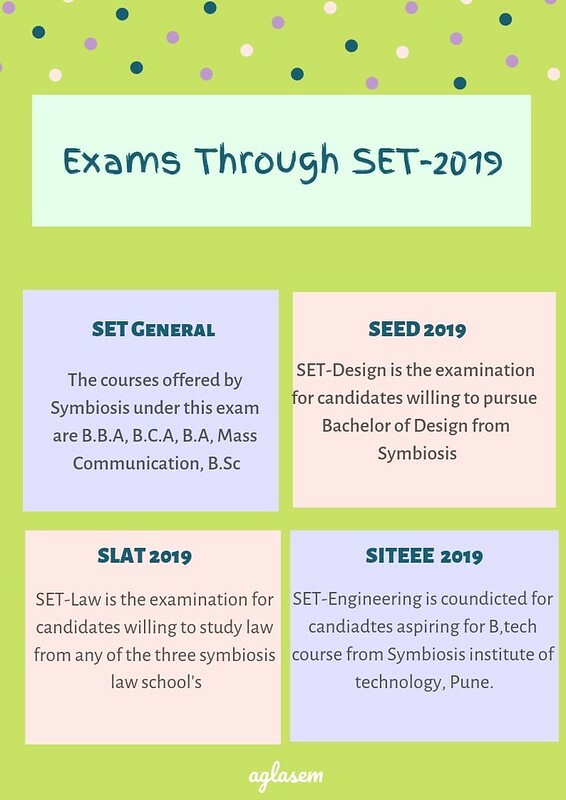 SET 2019 – Symbiosis International has released the admit card for SET General, SEED (SET-Design), SLAT (SET-Law) and SITEEE (SET-Engineering) on April 24, 2019. The SET 2019 exam date is May 04, 2019. The entrance exam is conducted for admission in 15 UG courses at Symbiosis. Candidates have to appear in the entrance exam as per the course they are applying for admission. It is a university level entrance exam which is held in online mode in two shifts. In the first shift, SLAT and SEED exam is conducted and in the second shift, test for SITEEE and SET (General) is conducted. Check more details on SET 2019 from this page. 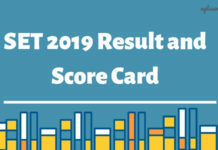 Latest: SET 2019 Admit Card issued. Download here. Symbiosis invites application from the eligible candidates to appear in their entrance test – SET. Qualifying the SET 2019 will lead to admission in 15 UG courses offered by the university. 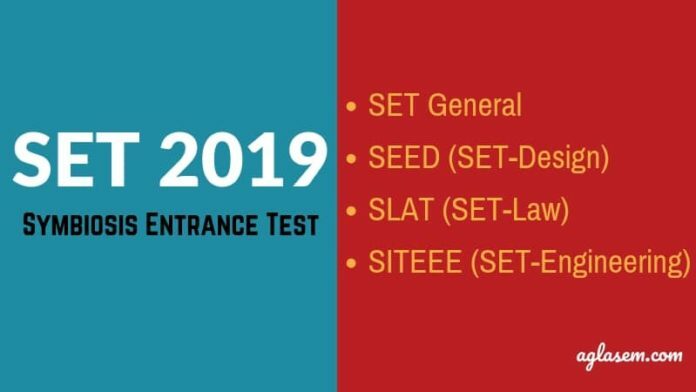 SET 2019 is a computer-based test, with each entrance exam – SET General, SEED, SLAT, and SITEEE having different exam pattern. Check all important dates of SET 2019 in the table below. 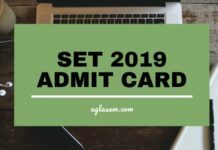 The admit card for SET 2019 is made available for download from the website set-test.org. Candidates can download the admit card by entering SLAT/SEED/SET/SITEEE ID and password. The candidates who select both the sessions (morning and afternoon) they should carry two different Admit Cards – one is for the morning session and second is for the afternoon session. It is mandatory for the appearing candidates to bring the SET 2019 Admit Card at the exam hall else they are not be allowed to write the paper. Along with the admit card, the candidates need to bring a colored passport size photograph and an id proof. Session: The exam will be organized into two sessions, which is morning and afternoon. Register using Name, Date of birth, Category, address, and Photograph. In the next step, the candidates have to make payment. After making the payment successfully the application process is complete. Note: You may register for one paper in the morning (for example, SET-Law (SLAT) or SET-Design (SEED), and/or one paper in the afternoon session (for example, SET-General (SET) or SET-Engineering (SITEEE). The applicants have to pay an amount of Rs. 1750 for one test and Rs. 3500/- for TWO Tests (one from the morning session and one for afternoon session). if a candidate pays through Demand Draft: Submit a Demand Draft (DD) of Rs. 1750/- for ONE Test (morning OR afternoon) OR Rs. 3500/- for TWO Tests (one from the morning session and one for afternoon session) from any Nationalized Bank in favour of “Symbiosis Test Secretariat” payable at Pune. SIT Symbiosis Institute of Technology [SIT] Should have passed Class 12th or equivalent examination with Physics and Mathematics as compulsory subjects along with one of the Chemistry/ Biotechnology/ Biology/ Technical Vocational subject and also should have obtained at least 45% marks (40% in case of SC/ST) in the above subjects taken together. The selection of candidates for admission will be done on the basis of their performance in the entrance examination and PI-WAT conducted by the Institute for which the candidate has applied for. The result will be released in the form of the merit list after completing all the processes. Candidates can access their scorecard by entering the SET ID and registered password. It is mandatory for the appearing candidates to attend all components/tests of PI-WAT/ST-PI to be eligible for admission to any UG programmes. 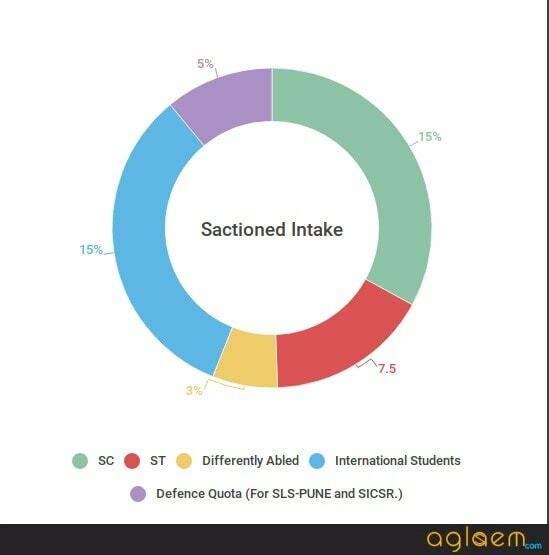 Only candidates who attend all components/tests of the selection process (PI-WAT/ST-PI) shall be considered as eligible for generation of merit/wait/ reject list. Candidates who remain absent for any one of the component/tests will be considered as ineligible for the selection process of UG degree programmes of SIU. Each Symbiosis institutes conduct their own independent selection process for the shortlisted candidates. The schedule for counselling will be published on the official site of the Institute for which the candidate has paid the application fee. After SET 2019, the candidate will have to qualify the Personal Interaction and Writing Ability Test (PI-WAT). On the basis of the performance in entrance test and PI- WAT, the candidate will get admission in their filled choice. Symbiosis School for Liberal Arts (SSLA):- [For International Baccalaureate (IB) students are exempt from SET]. 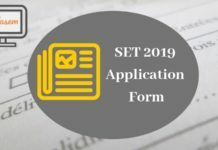 For more information regarding SET 2019 – Download Information Brochure 2019. I filled the first part of my form and chose ba llb as well as bba llb bur when it came to payment section I came to know that each programme carries 1000 rs. So I paid for only bba llb as well as registration charges but didn’t pay for the bba llb couse will my form get rejected? can i change my center for the test ?? my current center is delhi . i want to make it noida . is it possible ?? 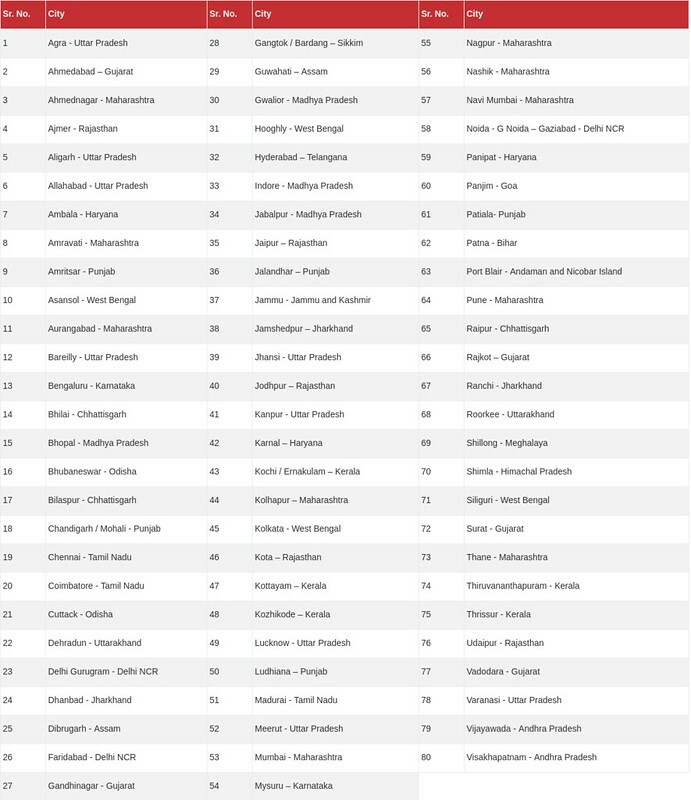 No….Isha you can’t change your test center …..Because ‘Noida’ is not specifically center given by them.Delhi is mentioned in the list that cities to which exam is going to be conducted.So,go with it. All the Best for your Exams …….!!! I have applied for Pune but I want to join Hyderabad symbiosis after writing my set exam can i change clg from pune to Hyderabad ? Or for joing Hyderabad symbiosis i need to applie form again ? N only 1 exam for any branch of symbiosis whether it’s Pune or Hyderabad ? Can I change the time of my test from afternoon to morning? I have filled the form for bca but now I have to apply for btech also please help me what should I do?? You can apply through a different form.